UPGRADE SOUL is the story of an elderly couple who become the guinea pigs of a visionary procedure that aims to revivify them by filtering toxins from their bodies on a molecular level. When the procedure experiences a fatal complication, the couple is faced with severely disfigured, though intellectually superior duplicates of themselves. Soon, it becomes clear that only one version of each individual can survive, and a psychological battle for dominance begins. Carolyn Nowak uses fantasy worlds to explore profound truths. Her solo debut, Girl Town, collects the Ignatz Award-winning stories “Radishes” and “Diana’s Electric Tongue” together with several other tales of young adulthood and the search for connection. Here are her most acclaimed mini-comics and anthology pieces, enhanced with stunning new colors and joined by brand-new work. Jackson, the mysterious, unbeatable hobo, and his ward Pomona Slim are searching for the legendary Rock Candy Mountain. On their heels are federal agents, angry train-car riders, and the devil himself. Kyle Starks writes and draws one of the best books of the year with gut punching humor, humanity, and lots of actual gut punches. End 2018 on a high note and ride the rails with us. All copies of Isola Vol. 1 on sale are exclusive Vault of Midnight variants, available for a limited time while supplies last! -Description provided courtesy of the publisher. One of the most celebrated and terrifying books of the year, Infidel (italicize) has been called 'a haunted house story for the 21st century.' Aisha, an American Muslim, finds herself and her family haunted by a being that seems to feed off of the racism and xenophobia that already infests her family and everyday life. But what's real, and what is the product of Aisha's imagination? And what's the difference? Don't sleep on Infidel; you won't be able to sleep after you finish it. In Your Black Friend and Other Strangers, Ben Passmore masterfully tackles comics about race, gentrification, the prison system, online dating, gross punks, bad street art, kung fu movie references, beating up God, and lots of other grown-up stuff with refreshing doses of humor and lived relatability. The title comic earned Passmore an Eisner nomination, Ignatz Award for “Outstanding Comic”, and a coveted spot on NPR’s 100 Favorite Graphic Novels list. The comics in this 120-page collection include works previously published by The Nib, VICE, and the As You Were anthology, along with brand new and unreleased material. These comics are essential, humorous, and accessible, told through Passmore’s surreal lens in the vibrant full-color hues of New Orleans. Kara Danvers isn't any different than any other teenager in her hometown. Problems with school. Problems with boys. Problems with friends. But while growing pains shake up Kara's world, a series of earth-shaking events hits her hometown, leaving her with with the choice of blending in with the crowd or being different. Being an outcast. Being super. This reimagining of Supergirl will appeal to fans of all ages and readers new and old, as the Girl of Steel flies face-first into the struggles that every teenager faces. 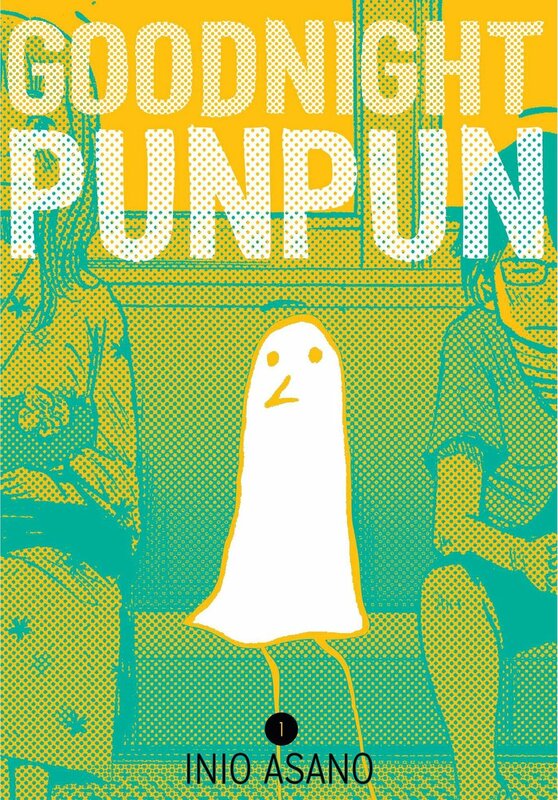 This is Punpun Punyama's coming-of-age story. His parents’ marriage is falling apart. His dad goes to jail, and his mom goes to the hospital. He has to live with his loser uncle. He has a crush on a girl who lives in a weird cult. Punpun tries talking with God about his problems, but God is a jerk. Punpun keeps hoping things will get better, but they really, really don’t. In the early 20th Century, when lynchings were commonplace throughout the American South, a few courageous reporters from the North risked their lives to expose these atrocities. They were African-American men who, due to their light skin color, could "pass" among the white folks. They called this dangerous assignment going "Incognegro." Meet Asterios Polyp: middle-aged, meagerly successful architect and teacher, aesthete and womanizer, whose life is wholly upended when his New York City apartment goes up in flames. In a tenacious daze, he leaves the city and relocates to a small town in the American heartland. But what is this “escape” really about? With stunning narrative skill, this compelling graphic novel intricately weaves together true-life narratives from 1912, 1926 and a fictional story set in the present day. How To Survive in the North is an unforgettable journey of love and loss, showing the strength it takes to survive in the harshest conditions. When the Rooks family moves to the remote town of Litchfield, NH to escape a haunting trauma, they're hopeful about starting over. But something evil is waiting for them in the woods just beyond town. Watching from the trees. Ancient...and hungry. 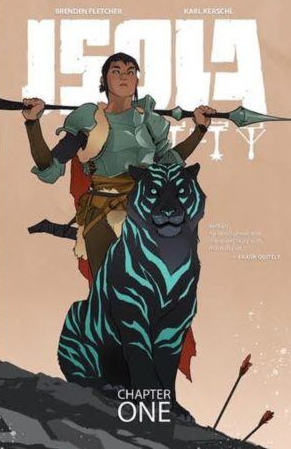 By Chance or Providence collects Becky Cloonan's award-winning trilogy: Wolves, The Mire and Demeter, with lush colors by Lee Loughridge and a sketchbook/illustration section. These stories cast a spell of hypnotic melancholy, weaving their way through medieval landscapes of ancient curses and terrible truths that will haunt you long after you've set them down. Once they were heroes, but the age of heroes has long since passed. Banished from existence by a multiversal crisis, the old champions of Spiral City--Abraham Slam, Golden Gail, Colonel Weird, Madame Dragonfly, and Barbalien--now lead simple lives in an idyllic, timeless farming village from which there is no escape! But as they employ all of their super abilities to free themselves from this strange purgatory, a mysterious stranger works to bring them back into action for one last adventure!